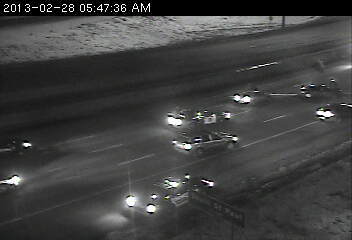 An accident involving two vehicles is blocking the center lanes on westbound 494 at Hardman Avenue in the Newport/South St. Paul area. Traffic is getting by on the right shoulder and left lane. This one is in a tough spot, so use caution as you pass by. An ambulance is now arriving on the scene.